If you’re like me, chances are that you might struggle in finding a clear direction in how to color tone your images. Even as a retoucher, this is something clients have a hard time with as well. It almost feels like something a few people grasp perfectly when they sit down and see an image. These magical unicorns know exactly where to go with the image. Often, this isn’t most people. One of the reasons I like color toning actions is because it gives me a starting point in what direction to go. Since I don’t have a precise idea of what I like, it’s a fast and great way to get suggestions on what options are possible! I find my own personal strength to be skin retouching, but the idea of color eludes me unless I have outside references. Once I run an action, I usually let my emotional response direct me in what I like and don’t like. There’s a story where a client walks into a hair dresser and asks for something “different”. The client says, “do anything, I am sure I’ll like it.” Before attempting anything, the hairdresser shows her a variety of options, most of which she did not like. The lesson learned there is most people can identify with what they don’t like over what they do like. Likewise, actions can help address what strikes an emotional chord within us and guides us. Understandably so, color is an emotional process. 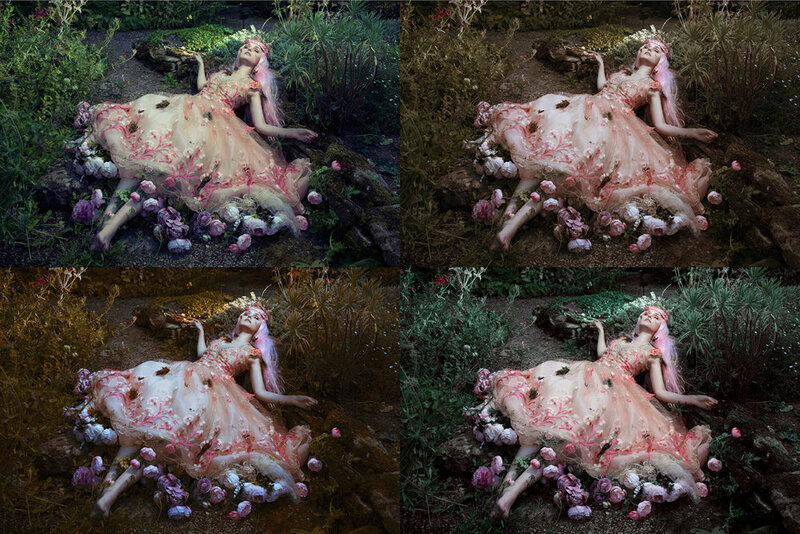 Actions give us suggestions and open our mind to ideas in what our image could look like with different color palettes. And concurrently, what looks good on one image will look totally different on another. The amount of shadows and highlights in an image change how colors affect it. Likewise, how we envision the end result is so unique from person to person, that even with the same image, we could all end up with different end results. That's why actions allow us to explore our personal tastes in helping us get to the final image that speaks to us the most. The other benefit is even if an action is not 100% where you want to be, the layers are intentionally kept available so you can modify it to your own taste. You’ll find through our community that most people do just that. So you can have a balance of receiving visual suggestions and modifying it to fit your exact preference. Want to try one of our Photoshop Actions? Download Paranormal below and take it for a test drive, then submit your images to our Facebook group! Newer PostOur new release! The Enchanted Collection! Older PostParanormal Action Contest Winners!